Q. Give a tabular definition of common Collection classes. Q. 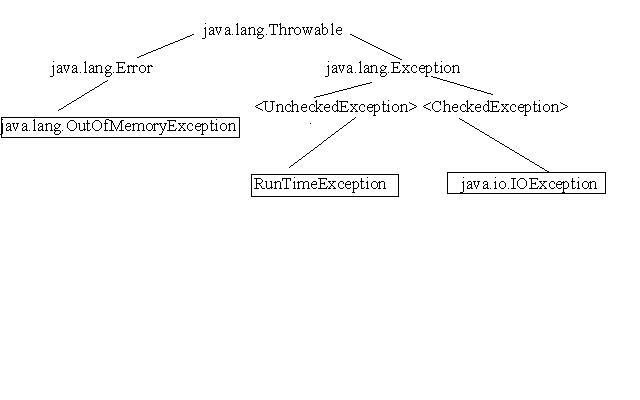 How would you classify exceptions? Q Can we call ordinary methods from a synchronized method? It is good programming advice not to call methods from inside a synchronized method because you may lose track of methods being called and end up in a deadlock because of bad programming. Don’t call any methods within a synchronized block except the class Object methods (wait, notify,). Q What are the types of validation in Struts? Validations in Struts are server side. In both cases the Form Bean needs to extend ValidatorForm. What you write in validation.xml is invoked by super.validate(). , which then creates html and sends it to the client. If you are overriding the validate() method and plan to use both validation.xml as well as handcode the validate() method then you need to use super.validate(). validation.xml will still work if you don’t override the validate() method in your Form Bean extending ValidatorForm because it will inherit super’s validate() method. Q How would you compare statement, prepared statement and callable statement in SQL? Callable statement is a different animal, comparing it to queries is like apples and oranges. Prepared statement is the faster of the two- statement and prepared statement. You write a query “select * from blah where foo=’a’” and next time it is “select * from blah where foo=’b’”, there is a slight change in passed parameter, but the database doesn’t know the difference. It will parse the second query without any memory of the first. If you use the prepared statement with “?” as placeholder, then the database knows that the query does NOT need to be reparsed. It is cached internally, only the parameter value is changed. Q Compare SAX and DOM parsers. A DOM parser processes XML data and creates a tree representation of the document that you can navigate at run-time. The tree representation occupies memory and can be a major resource overhead. The SAX parser on the other hand raises events that you can handle as you see fit. Because of this design, the SAX implementation is generally faster and requires fewer resources. On the other hand, SAX code is frequently complex. A SAX parser is suitable for sequential and infrequent access while a DOM parser is more useful for frequent and random access. Q Name some xsl:fo tags. Q Name some xsl tags. <af:inputText id=" userName " columns="30"
Q What are the implicit variables in JSP, and what are their servlet equivalents? Q Name some Ant tags. <!--places folder of images dir(build and places it in folder called "images"
Q what are inner and outer joins in SQL? Inner joins will return all rows from multiple tables where the join condition(in the “where” clause) is met. An outer join returns all rows from one table and only those rows from a secondary table where the joined fields are equal (join condition is met). A connection pool is a cache of open connections that can be used and reused, thus cutting down on the overhead of creating and destroying database connections. Q. Briefly describe Servlet and JSP life cycles. When the Servlet Container starts up, it looks for web.xml, which includes an entry for each of the servlet the application uses. The servlet creates an instance of the compiled class and loads it. Next the servlet is initialized with initialization parameters in the ServletConfig object. The servlet is initialized after init() method returns. (Lazy loading – The servlet container does not initialize the servlet as soon as it starts up but rather when it receives a specific request for that servlet for the first time). After the servlet instance is initialized, it is ready to service client requests. When the servlet container no longer needs the servlet instance(such as when the container is shutting down, or it is running low on resources, or no request has arrived for that servlet for a long itme), the servlet instance again goes to the unloaded state and cannot service any requests. Once destroyed, the servlet instance is garbage collected. The container calls _jspService(), which was created during translation time by the jsp container, for each request. Q. What are the methods in a Struts Action Form? This method can be implemented when the ActionForm extends ValidatorForm. It is usually used with Java based validation and when complex validations that cannot be handled by validation.xml are involved. If a form extends ValidatorForm and does not provide the validate() method, the superclass validate() is inherited from the parent ValidatorForm that allows validation using validation.xml to be implemented. For validation involving both validation.xml and code within validate() one needs to implement the validate() method and configure validation.xml as well. The reset method allows one to set the values of all properties in the ActionForm to default values. It also allows one to initialize ActionForm properties within the body of the method. However with DynaActionForms reset() sets all properties to default values and does not allow one to initialize ActionForm properties. Q What is the sequence of calls when an ActionForm is called by the ActionServlet? The reset() method is called before the ActionForm is populated. Following this the setter methods are called to populate the ActionForm. Validate() is called if the ActionForm extends ValidatorForm. Q. Describe the control flow when a request is submitted to a Struts application. 1. When the ActionServlet receives a request, the first thing it does is to check the ActionMappings defined in struts-config.xml to check for a matching path. ActionMappings are JavaBeans that Struts creates when reading the struts-config.xml at application startup. 2. Next the ActionServlet checks for the name attribute in the ActionMapping for the FormBean mapped to this ActionMapping. The corresponding ActionForm is instantiated and its setter methods are called to populate the ActionForm. 3. The type attribute is checked to instantiate the Action class and the perform()/execute() method is called on it. A reference to the ActionForm is passed as a parameter to the perform()/execute() method. 4. Depending on the outcome of perform()/execute() ActionMapping.findForward() is called which uses a single String attribute that matches one of the “name” attributes of the nested “forward” tags within the ActionMapping described in struts-config.xml. The “path” attribute of the “forward” tag determines the url to which the flow of control is altered to generate the response. An ActionForward can also be created dynamically within the Action class to specify the url to which the flow of control needs to be passed. Q. Can an ActionMapping in struts-config.xml not have an Action class associated with it at all? Yes. When an ActionMapping needs to directly transfer the flow of control to a JSP page without any processing to be done, the ActionForm need not be specified. In that case the “forward” attribute of the ActionMapping is used. “type” (which associates an Action class to the Action Mapping) and “forward” elements of an ActionMapping are mutually exclusive. Q. Can a Struts application have multiple ActionServlets? No. A single Struts application can have only a single ActionServlet associated with it. This is the Front Controller pattern. When the ActionServlet that acts as the FrontController in the Struts framework, receives a request it routes it to a handler class that performs business operations, usually using helper classes. The ActionServlet determines which business operations are related to which request by looking up the ActionMappings in the struts-config.xml. The multi-threaded handler class (Action class) handles business operations by calling helper classes. 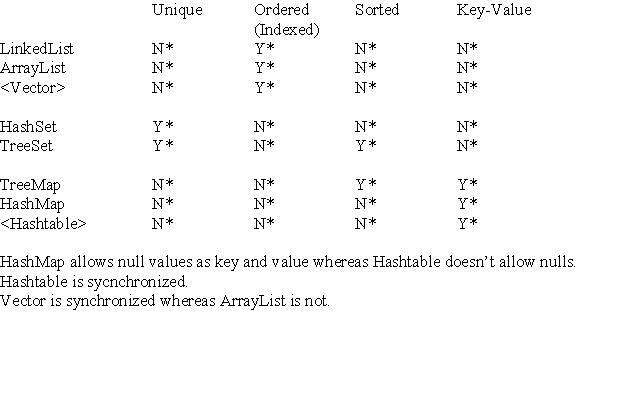 The handler class is passed the specifics of each request used in the operation. When the Action class returns, the ActionServlet may have to lookup an ActionForward associated with the related mapping and pass the response to the url specified in it. Q. What are the changes to be made to web.xml to configure Struts? Compare this with how the web.xml is modified to configure JSF. When the parameter 1 is specified in the load-on-startup tag, the ActionServlet is the first servlet to be loaded on application startup. When 2 is specified other servlets with a values of 1 are loaded initially. Such servlets may perform initialization operations needed to be done before the ActionServlet is invoked by the container. Additional configuration for nested taglib, tiles taglib may also be defined in web.xml when needed. Q. Can a Struts application have multiple struts-config.xml files? Yes. The following is an example of how separate struts-config.xml may be configured in web.xml for “matt” and “tizz” modules in addition to the default module. Q How do you handle errors in Struts? The validate() method of the ActionForm returns an ActionErrors object. An Action class can also generate ActionErrors. The errors in the ActionErrors object are displayed using the html:errors tag in the forwarded JSP. Q What are DynaActionForms and DynaValidatorForms? DynaActionForms allow FormBean creation by specifying them directly in the struts-config.xml. They cannot have reset() or validate() methods. All FormBean properties are set to default values before the FormBean is populated, without allowing initialization of FormBean properties. DynaValidatorForms are similar to DynaActionForms but they use the validator framework by allowing properties to be validated using validation.xml settings. Q Describe some common methods used to populate custom JavaBeans (Value Objects) from ActionForms. 1. The BeanUtils calss has a describe() method that returns a Map of a JavaBean’s public properties. It also offers a corresponding populate() method that will set the public properties of a JavaBean from a Map. The code in this snippet transfers the String properties in myForm to native types in myBean. It then transfers the native types in myBean back to the all String properties in myForm after business logic processing. Converting non-native types such as Dates may requires a bit more effort. 3. Maps can be used as ActionForm properties. But a values from a Map is treated differently from a regular JavaBean property. This example demonstrates the use of common web design patterns and gives a solution for pagination. I am using JSF as the MVC framework for this example. I am using the authors database on mySQL which I have used in the previous examples. Refer the simple entity bean example on details of creation of the authors database and setting up of the mySQL datasource. You need to set JBOSS_HOME and ANT_HOME before you can get on with this example. You would also need to download the jsf jars listed under lib/jsfJars from the relevant website. style="color: #000099;font-family: Verdana, Arial, Helvetica, sans-serif;font-size: 10px;font-weight: bold;"
<h:inputText style="color: automatic; background: iceblue;"
MattizDAO.java is the Data Access Object class. Note helper method closeStatements(ResultSet rs, PreparedStatement ps, Connection conn) which adds elegance to how connections are created, statements initialized and later disposed off. build.xml automates the build process. The compiled classes are placed under build/classes folder of root, later zipped as a jar, the jar included within lib of the war (the jar and war files are placed temporarily in build/dist). The war file is finally deployed to jboss deploy folder. You are provided with an option to add entries to the database, so that you have enough entries in the database to see pagination work. The Faces Servlet configured in web.xml acts as the Front Controller. It is not manually coded as it is part of the JSF MVC architecture (implied). The request from the client reaches the Front Controller, usually implemented as a servlet. It may use JavaBeans to access the information from the database that is required to authenticate the request. Then, depending on the state of the client’s session, the Front Controller determines to which other worker objects the request will be forwarded for processing. Finally, after the request has been processed, the last worker servlet will forward the request to one of the JSP pages for presenting the data to the client. All business objects then make use of Data Access Objects, to fetch and update data from the data store. The DAO shields the business objects from the management chores of the data stores. Winding it up, in this example we have given examples of four design patterns — Value Object, MVC, Data Access Object, and Business Delegate—and the Front Controller. When isThreadSafe is true, then the page does not implement SingleThreadModel, but rather implements the MultiThreadedModel. The default handling for this servlet, as defined by the servlet spec is to create ONE instance of the servlet, which handles all requests. Thus there can be multiple threads going through a JSP/servlet service method. By default a page is threadsafe, that is it does not implement SingleThreadModel but rather the MUltiThreadedModel. So with MultiThreadedModel, session and request are still separate as they are not instance variables and they are just input to the method of the servlet, they don’t belong to the servlet instance. They are sent in when service(httprequest etc…) method is invoked, so they are like local variables. This is not true for instance variables defined in the servlet. Different threads are manipulating a single instance variable. One way to retain data integrity of local variables is to use the SingleThreadModel(isThreadSafe=”false”). Normally servlets (or jsps) are kept as a single instance. The service() method is run on separate threads. Now when we explicitly say isThreadSafe =”false” (SingleThreadModel in servlets) the service() method becomes single-threaded, that is the servlet instance is accessed by only one thread at a time. Normally only one instance is still available and this can be a bottleneck for performance. However if you make it single threaded, some servlet engine implementations keep a pool of instances to avoid performance bottlenecks. In such cases, this causes data integrity problems. So the suggestion is don’t make it single threaded – let the isThreadSafe=true which is default. Then you are assured of having a single instance and multiple threads, but make the instance variables synchronized to manage the conflict between threads. why synchronize? You are trying to keep the integrity of the values stored as instance variables in the servlet. The instance variable is shared by multiple threads. Different threads are manipulating a single instance variable and so you need to synchronize the instance to keep the integrity of instance variable. This only applies for instance variables outside the service method. Local variables are stored on the stack – each thread has its own stack, they are never shared. How does a DTD look like? It is perfectly legal to have XML documents without DTDs.Think of them as XML files without a pre-defined format.XML Documents that do not have DTDs are called well-formed XML documents.XML Documents that do have DTDs are called well-formed and valid XML documents. This means that the “DOCUMENT” element should have only one “DATABASE” element inside it. This means that the “DATABASE” element should have two elements inside it “AUTHORS” and “PUBLISHERS” – in that order. This means that the “AUTHORS” element should have zero or more “AUTHORS_ROW” elements inside it. (The * signifies the “zero or more” relationship). This means that the “AUTHORS-ROW” element should have two elements inside it “ISBN_CODE” and “AUTHOR_NAME” – in that order. this means that the ISBN_CODE element has some data in it (PCDATA stands for Parsed Character DATA). this means that the AUTHOR_NAME element has some data in it (PCDATA stands for Parsed Character DATA). it. (The * signifies the “zero or more” relationship). This means that the “PUBLISHERS-ROW” element should have two elements inside it “PUB_CODE” and “PUB_NAME” – in that order. this means that the PUB_CODE element has some data in it (PCDATA stands for Parsed Character DATA). this means that the PUB_NAME element has some data in it (PCDATA stands for Parsed Character DATA). What data can the Request and Session objects hold? In the case of request dispatcher – forward or include methods, the request object is transferred as well, along with all parameters that it holds. sendRedirect, fresh doPost/ doGet result in fresh request objects, hence data contained in the request object is not universally available in the session, and in fact, is temporary to the extent of transmitting from client-to-servlet and between servlet-chains. Hence session objects can hold data across multiple screens of an application that will not be lost unless the session is explicitly invalidated by the code or the browser is closed. Another point to be considered is that the request object can only hold small string values (parameters) that are generated by the client and cannot be manipulated between servlet chains. In contrast, sessions can be loaded with entire objects that can be modified (and accessed) by any participating servlet/ jsp of the application.